MK Stalin will lead a protest at the district collectorate against "the Centre and state governments". 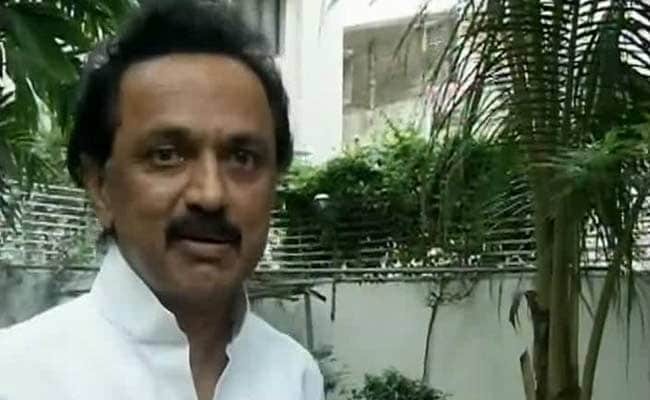 Chennai: DMK working president MK Stalin will lead a protest on May 31 in Chennai against the Centre's ban on the sale of cattle for slaughter at animal markets. The party also hit out at Chief Minister Edappadi Palaniswami government for "keeping mum" on the issue when the neighbouring states of Kerala and Karnataka have opposed it. In a statement, the DMK said the fundamental right to choice of food given by the Constitution has been "snatched away" by the Centre. Quoting media reports, it said trade was hit at the Anthiyur cattle shandy in Tamil Nadu due to the stringent curbs. Mr Stalin will lead a protest at the district collectorate against "the Centre and state governments" on the issue, it added. Chief Minister Palaniswami had on Saturday said he will comment on the Centre's ban on cattle sale after going through the related notification. Opposition parties, including the DMK, however, had condemned the move and demanded that the Centre withdraw the notification immediately.